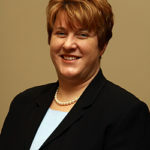 Carol has more than 25 years, experience as a licensed funeral director. Upon moving to Huntley in 2007 she has been actively involved in the Huntley Area Chamber of Commerce, the Sun City Lions Club, and a member of the Huntley Park District Foundation Board. She is also an active member of St. Mary Catholic Church and currently serves on the St. Mary Finance Board. She is a graduate of the Class of 2016 Leadership Greater McHenry County (LGMC) and currently serves on the Board of Trustees. Carol grew up in Chicago and went on to attend St. Ambrose University where she earned a Bachelor Degree in psychology and Communications, and later attended Worsham Mortuary College in Wheeling, IL. While working as a funeral director in Iowa, Carol also taught at Des Moines Community College in the Mortuary Science Program. Carol currently lives in Huntley and continues to be invested and active in community happenings.